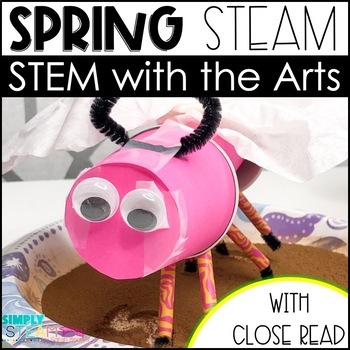 Get hands on with this Spring STEM Challenge! Students will learn how insects pollinate flowers. They'll launch an insect and keep track of the pollen is picks up. 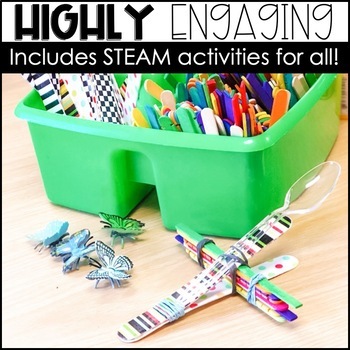 This STEM Challenge includes an engineering activity and a math challenge! 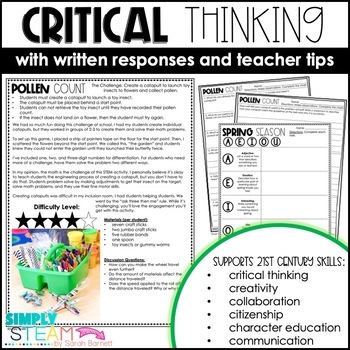 Flower targets are differentiated to meet the needs of your students. This resource can be used for grades K - 3. To help you find each one easily, I've included the targets on the table of contents. Please note: This image shows a photo with butterflies, but you can also use gummy worms, toy spiders, peeps, or your puff balls. Are we connected yet? Join my newsletter!!! It pays to follow Simply STEAM! All NEW resources are 50% off for the first 24 hours. Click the ☆ to save!